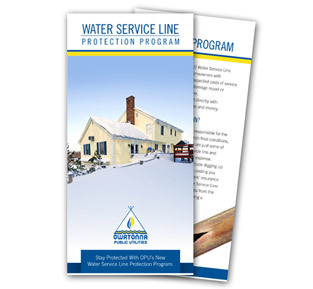 The Water Service Line Protection Program (WSLPP) provides owners of residential properties an option for affordable protection against the significant costs of repair or replacing leaking, damaged or frozen water service lines. Click here for more information. 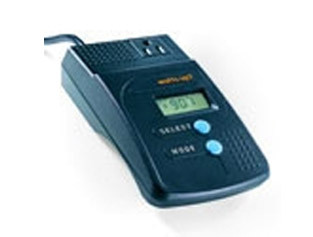 Find out exactly how much electricity your appliances are using. 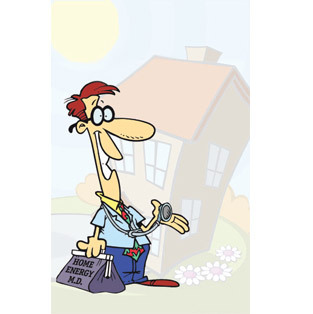 House Call is a comprehensive home energy audit program that helps you make your home more energy efficient and comfortable. Click to learn more. 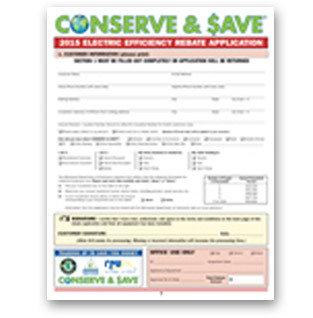 Save money on your purchase of energy efficient appliances and equipment by participating in our rebate programs.